For those who don’t know me, I’m Marvin. I founded MySiteAuditor back in 2013 while running a boutique digital marketing agency in Chicago. I’m still heavily involved in MySiteAuditor, and am continuously looking for ways we can improve our software. My favorite method for doing this, is simply listening to our community’s requests and concerns. So, towards the end of 2017 we sent out a survey to all our members looking to learn how we could improve MySiteAuditor. Many of you said the designs of the audit forms were totally outdated. You were right. Five years old may as well be 100 years in the tech world. Here’s an example of the old and new Large Form design. Click here to see the the new large form LIVE! 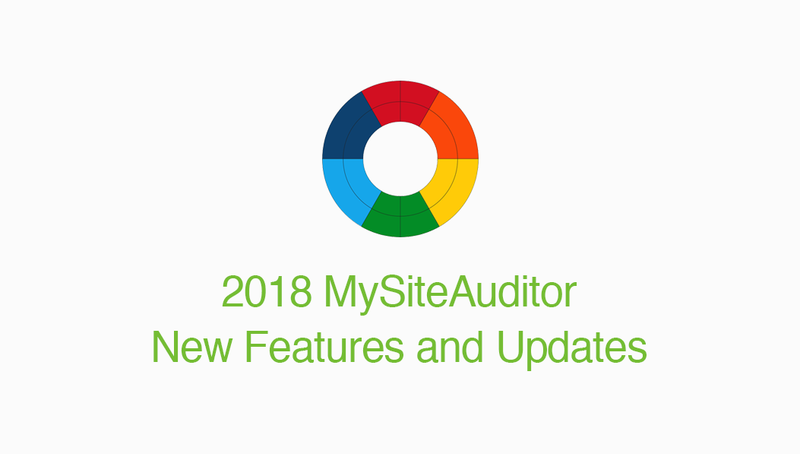 You can now login to MySiteAuditor using your Google or Gmail account. I have to admit, as founder of MySiteAuditor it’s easy for me to forget that not everyone automatically knows the best methods for using MySiteAuditor. It’s up to myself and my team to provide the best data, case studies, and tutorials for our members. That’s why I decided to launch MySiteAuditor Academy. The whole world, including us, went GDPR crazy this past spring. We quickly added GDPR checkboxes to two of our most popular forms to make sure all of our members were protected. Well, we got some feedback, and it was very clear that we needed to make GDPR optional. So we did. 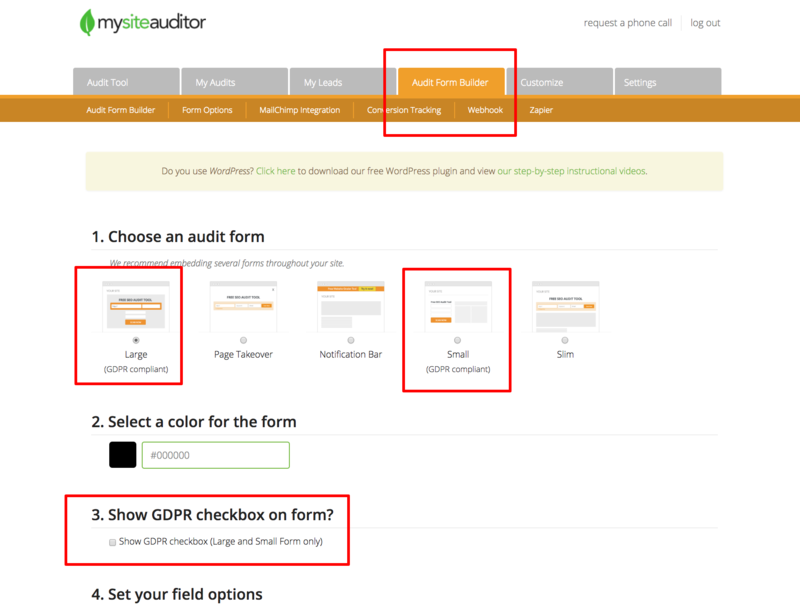 You can now turn a GDPR Checkbox on or off on our Large and Small audit forms. By default, GDPR is not turned on, but you can easily add it by generating a new Large of Small audit form. Many of you continue to ask for an option to remove the keyword field from our audit forms. We hear you and we agree. This would create less friction and increase conversion rates. Unfortunately, it’s not as simple as we had hoped. MySiteAuditor was built around the keyword field so making it optional will take a little more time. But a solution is coming. We’re always looking to make MySiteAuditor easier to use. While our WordPress plugin works great, it needs updating, and that coming up soon. We realize the audit reports could use updating as well, especially now that we’ve updated the Audit Forms. We’re working on it and will keep you updated. Since we provide initial SEO audits for prospective clients, many of you asked if we would also provide SEO reports for current clients. This is something we are looking into and considering. We’ll keep you posted. In our end of the year 2017 survey, auditing an entire website was highly requested. We hear you, and are still looking at possible options. 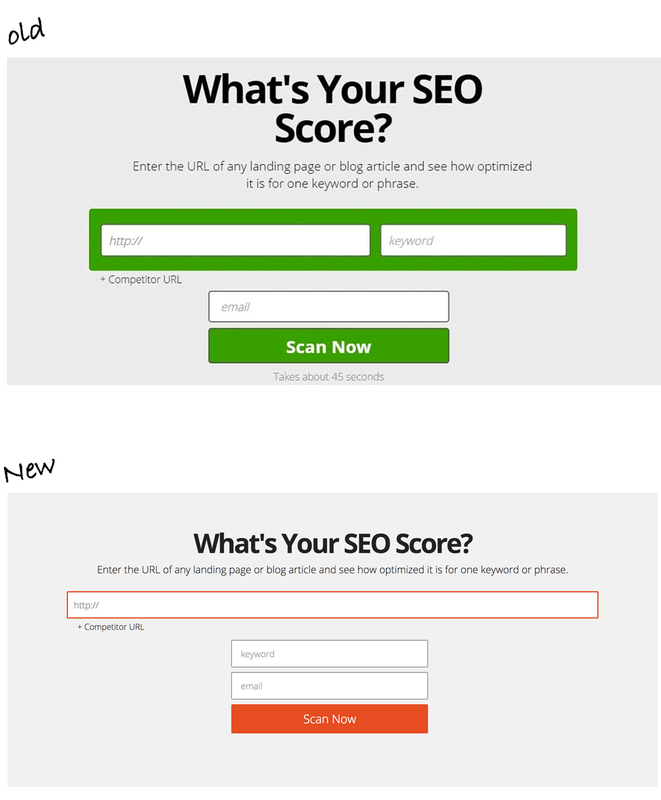 Keep in mind, MySiteAuditor tries to determine how optimized a web page is for a keyword. We do this to mimic the behavior of Google users. A Google user typically enters a keyword in Google, and Google serves the most relevant web pages, not web sites. Please comment below. I’m all ears and will try to respond to everyone.